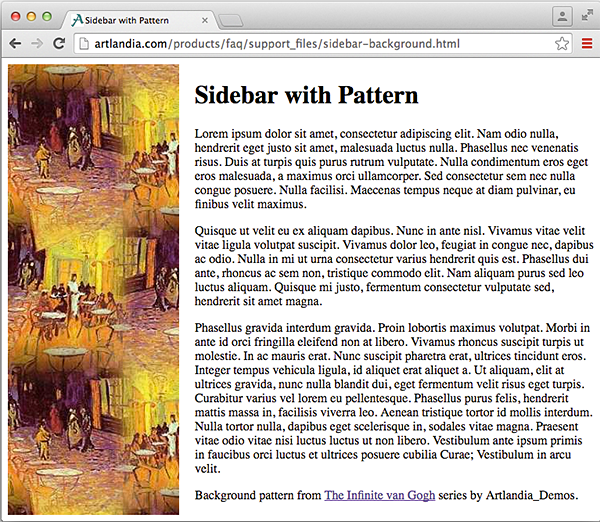 A sample webpage with a background pattern in the body (open in your browser or experiment in CodePen). Of course, you will pay attention to the license for patterns you plan to use. If the license requires attribution, you can satisfy it by providing a link to the pattern page, as is done in the above example. 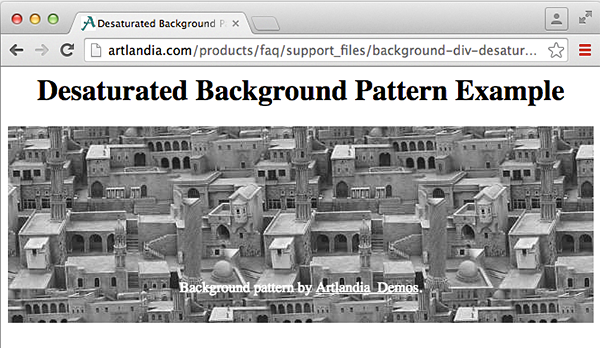 Using a desaturated pattern from Pattern Central (open in your browser or experiment in CodePen). A subtle background from van Gogh’s The Potato Eaters in the Infinite van Gogh series (open in your browser or experiment in CodePen). 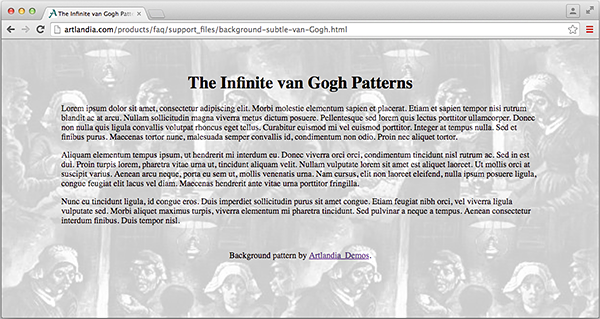 A pattern sidebar created with van Gogh’s Cafe Terrace at Night from the the Infinite van Gogh series (open in your browser or experiment in CodePen). 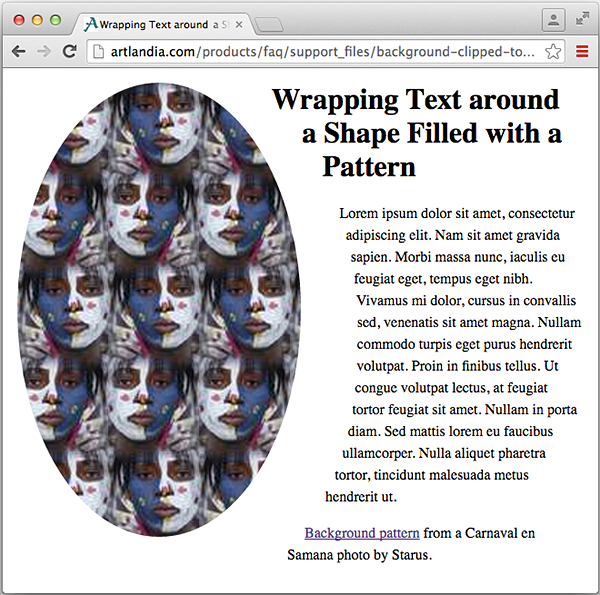 The width of the oval shape in this sample webpage scales with the page, keeping the pattern repeat constant (open in your browser or experiment in CodePen). The pattern was created from a carnival photo by Starus. 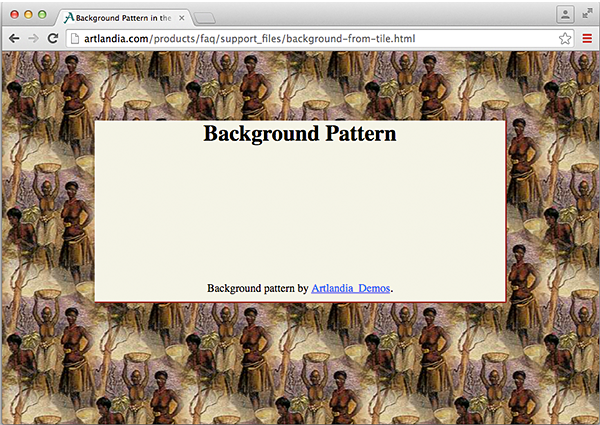 This post is a part of our series on pattern applications. The preceding post deals with using patterns in fashion-design and the next post is about using patterns in secure printing.